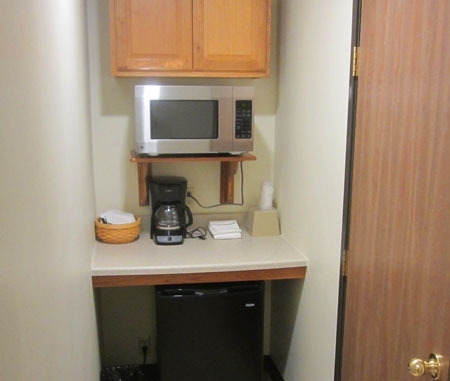 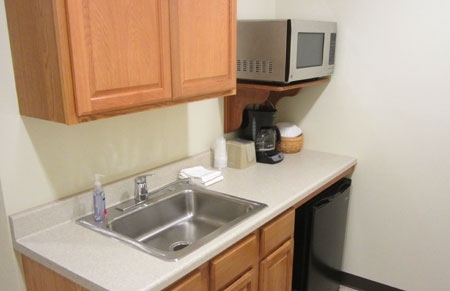 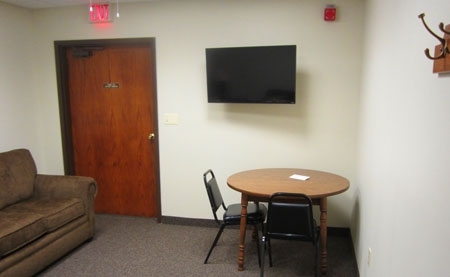 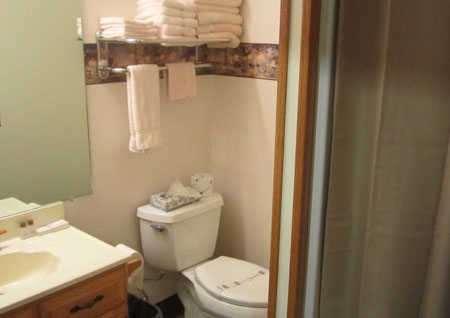 All of our rooms include wireless internet access and a continental breakfast. 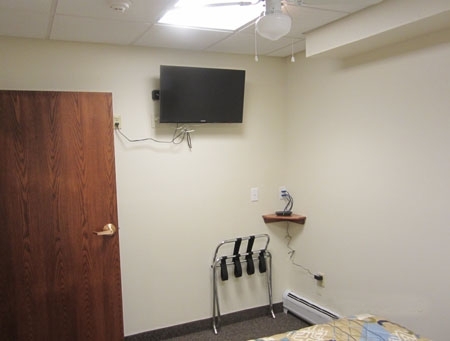 These are our basic rooms. 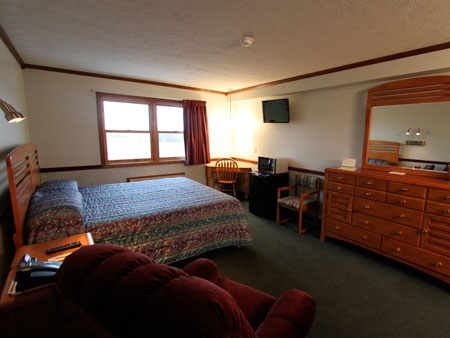 They consist of two queen-sized beds, as well as a full bathroom. 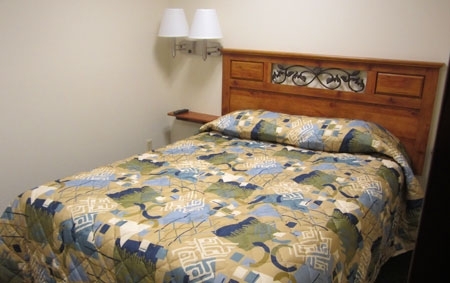 There is also the option of having two adjoining double-queen bedrooms. 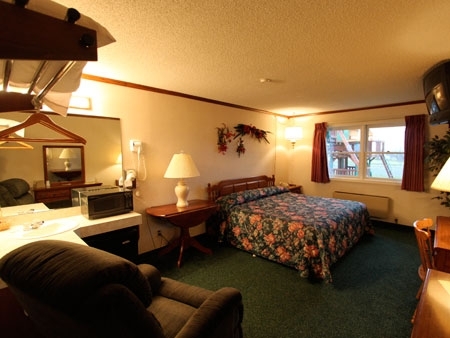 For those who only need one bed, we offer our standard rooms with only one queen-sized bed. 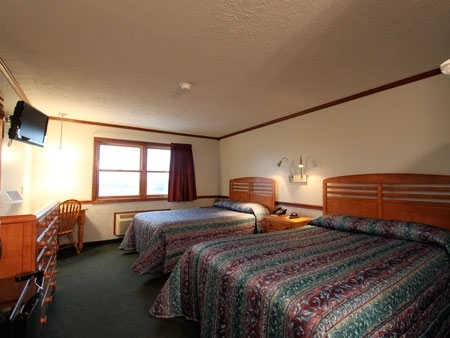 Our king rooms are complete with a single king-sized bed. 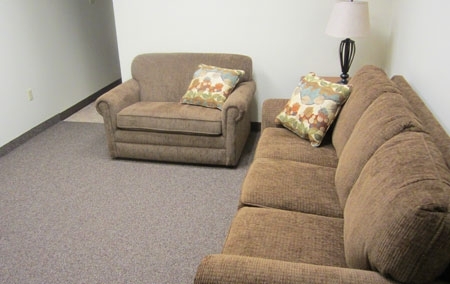 The extra space is occupied by a single reclining chair. 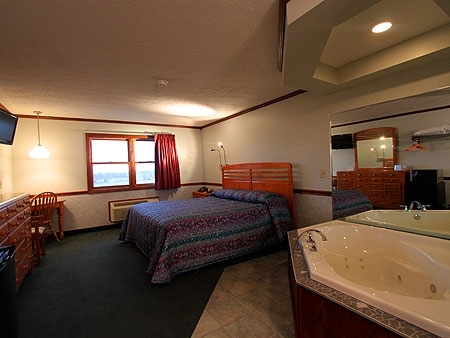 Our king size bed with a jacuzzi tub in place of the original, standard tub. 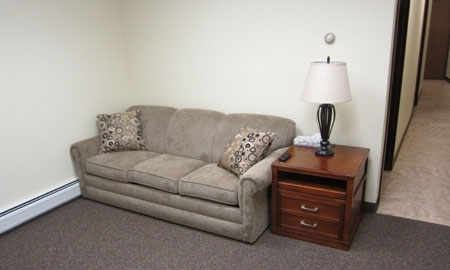 Great for those on long business trips that need to relax.